…Before we follow dad and mam to Cardiff a brief diversion. I had been born in Glanamman’s little red-roofed hospital and was soon taken back home to ‘Castell Clud’ in Pentregwenlais. Mam used to tell me that Castell Clud meant our ‘safe castle’. Welsh sustained her soul much as the blood flowing through her arteries fed her body. Today, I cannot find an exact translation of ‘Clud’ (pronounced ‘cleed’) which gives that meaning and mam is no longer here to ask. So it shall be, as it was, our Safe Castle (“ein Castell Clud”). Our parents enjoined us never to cross Pentregwenlais road; not, back then, because of the dangers of speeding cars but because of the railway line and the old limestone quarry. It was drummed into us that quarries were dangerous places and there’d been quarries in Pentregwenlais for 800 or so years. There was a stream close by which, with hindsight, was the Gwenlais river, a tributary of the Towy (Tywi). Legend has it that the source of the Gwenlais was a holy spring that rose when a virgin was murdered beside an ancient yew tree1. … Let us come back to Cardiff in the early 1960s. After a brief sojourn in a ground floor flat on North Road we moved into a three-bedroom, new-build on Highfields estate. This was a essentially building site between Cefn Coed Road and Lakeside schools. We lived at number four Farm Drive and watched the estate being built around us. Dad had gotten the job of Plant Engineer on Rover Way working for (wait for it) the Rover car company. Every morning the plant’s workers would visit the paper stall where Rover Way meets Newport Road. Scores of skilled men buying the daily news before walking to work. The paper-seller’s pitch has since gone the way of the skilled engineering workers who were its customers. It is now overlooked (in every sense) by TGI Friday’s, itself a symbol of the city’s new service-based economy. As a perk of his job dad would sometimes get to bring home a Rover car. He’d sound the car’s horn to grab my attention and park in the driveway. Mam and I would slam the front door as we left the house and pile into the car. When he brought home a Rover 80 or 100 it was as if we were being driven in a palace on wheels, serene and elegant, leathered and wood-trimmed. Mam, in the back, as Lady of the Manor and dad as her cheeky-chappie chauffeur2. 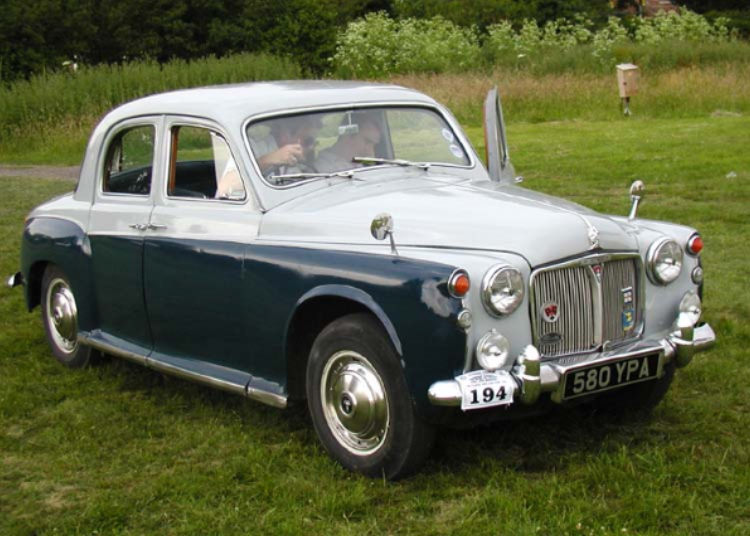 My favourite, was when dad returned with a Rover 2000TC with its ‘fuel-gauge’ speedometer and a kick like a stallion. Dad’s favourite was when he’d get to take a Land-Rover back to Cardiff from Solihull and ‘do a ton’. One evening he brought home a green Mini (registration 951VTX). It was our first family car. We’d visit Nanna and Dicko in Trelewis every Sunday and Fine Fare on Working Street (I think) to do our Saturday food shop. We went everywhere in it. Everywhere, that is, except to school. I walked to and from Lakeside Infants and Junior schools. No-one ever considered any other option. Nowadays, it seems odd to write that. We are all so convinced of ‘stranger danger’, yet the statistics show it is as safe for kids to walk now as it was back then. What’s more, we played out on our bikes or “down the (Roath) park” every day. My friend Simon and I would join some mates and play football on the school grounds or go cycling up to the Discovery pub’s off-licence to buy wine-gums. Mam would say “come back for tea” or “see you at 7pm” and that would be that. We had all been given our first Timex watches just so’s we could get home in time. 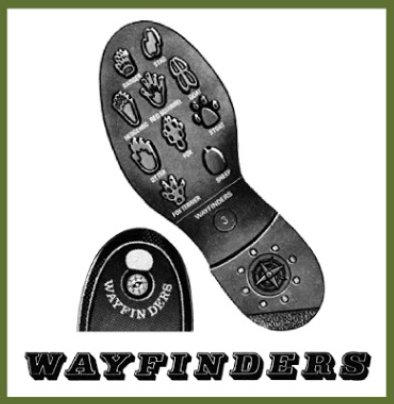 And the lads would all wear ‘Tuff’ Wayfinder shoes with a compass in the heel and animal prints under the sole – so we couldn’t get lost! The Girl goes to Marlborough Primary and we don’t live very far away. Occasionally we walk but generally we drive. If I asked her to walk to school I wouldn’t feel at all relaxed. Not because of stranger-danger but because she’d be away with the fairies – climbing the first tree to take her fancy or feeding the ducks. She’d never arrive in time for the bell to sound the school day. And, because she has just a touch of Down Syndrome, it is probably fair that she is given more oversight and support than my school friends and I needed. But when she moves up to High School in 2017 I’m sure that The Girl will want to walk with her friends or on her own without her dad hanging around. Maybe I’ll be able to make her think it’s her idea to invite me to walk with her?! And here’s another ‘then and now’: school trips! As I type this The Girl’s class is on a three day residential, outward-bound retreat in Abernant. This term has also seen them visit Cog Moors sewage treatment plant (“it was smelly, dad”), and studied cells throughmicroscopes at the University. In previous terms they have gone to sports events, theatres and pantomimes, the Millennium Stadium, Glamorgan’s cricket ground, police and fire stations, pet shops, places of worship, Cosmeston lakes, Barry Island, flower shows, and much, much more. Back in the day, the only trips I recall my class attending were the Roman ruins at Caerleon, the old Western Mail printing presses (fantastic! ), and the Empire pool. I think it is wonderful today that school curricula programmes have so many alternative routes to knowledge than class-based teaching. The very best school trip of my youth was to the old Empire Pool3, which was built in 1958 for the old British Empire Games (now known as the Commonwealth Games). We were given swimming lessons there and allowed to use the low diving board. Some years later, in 1998 I think, my friend Dan and I decided to use the pool, for old times’ sake, on its last day of opening. (It was demolished to make way for the Millennium Stadium). We discovered that, at its peak, the Empire Pool included, in addition to the main pool, an aerotone therapeutic bath (I haven’t got a clue, sorry! ), Turkish baths, physiotherapy rooms, hot showers, a first class restaurant, and a large reception area! Dan and I couldn’t believe that we’d had all those facilities under our noses and that we hadn’t been aware of them. We tried out the Turkish baths and they were wonderful. No sooner had we discovered this little corner ofIstanbul on our doorstep than it closed! If only they had shown us this on our school visit all those years ago. Still, tempus fugit. By the time I finish typing these words The Girl’s school-bus should be returning from Mid-Wales. Maybe I’ll walk over to collect her and we can walk back home. If she enjoys the experience enough maybe she’ll let me walk with her to High school occasionally in a couple of years’ time? !